The Arlandrian: Design Guidelines Open House for Four Mile Run Restoration, April 2nd. The Four Mile Run Restoration Project Joint Task Force is hosting an Open House on Thursday, April 2, from 7pm until 9pm. The event will be held at the conference room at the Arlington County Park Operations Building at 2700 S. Taylor St (off of Arlington Mill Road in Shirlington). Click here for directions. 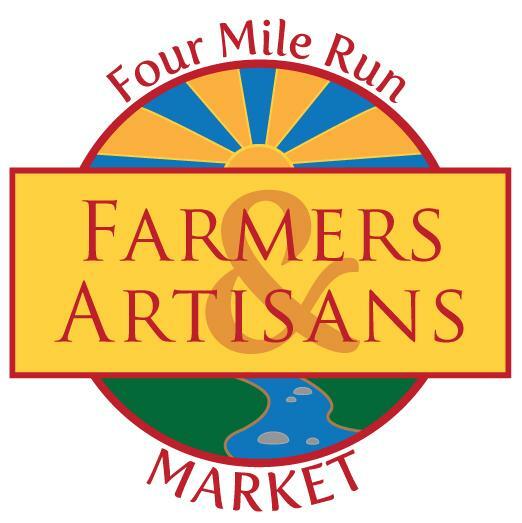 The meeting will focus on the latest draft of the Design Guidelines for Four Mile Run. The Four Mile Run Agency Coordinating Group created design guidelines to coordinate and preserve the master plan vision for the corridor. 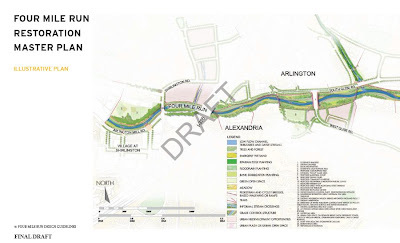 Restoration of the corridor will take many years, with Alexandria, Arlington, the US Army Corps of Engineers, residents, and private landowners all playing roles in its transformation. A comprehensive set of design guidelines is meant to ensure consistent materials and styles throughout the restoration area while complementing design and style elements of adjacent neighborhoods. The guidelines will provide a framework of guidance for private and public spaces. In response to this flooding, the municipalities forged a partnership with the US Army Corps of Engineers to build a flood-control channel in the lower portion of Four Mile Run. Construction of that channel took place during the 1970s and early 1980s. Although the engineered 2.3-mile channel has been successful in the area of flood control, that reach subsequently has lost many of its natural and aesthetically pleasing characteristics. The maintenance requirements for the channel have resulted in the loss of vegetation. In addition, the trapezoidal shape of the channel does not offer the riffles, pools, and shady areas needed to sustain aquatic life. Encouraged by the possibility of improving stream habitat and recreational potential, the work group began to search for funding that would be used toward developing plans for the 2.3-mile stretch of Four Mile Run. 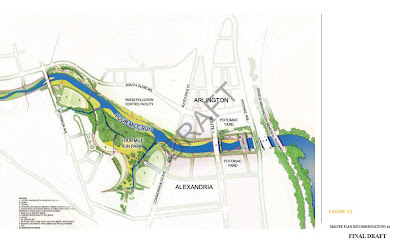 A $1 million federal allocation through the U.S. Environmental Protection Agency was utilized to develop the Four Mile Run Master Plan, which outlines a 30-year vision of enhancements to the 2.3-mile stream corridor. The first efforts to implement the master plan will focus on a demonstration project that includes both environmental improvements and urban components between Mt. Vernon Avenue and US Route 1. See the above links for more information on the Master Plan and Draft Design Guidelines. Or watch the 6-minute video here.